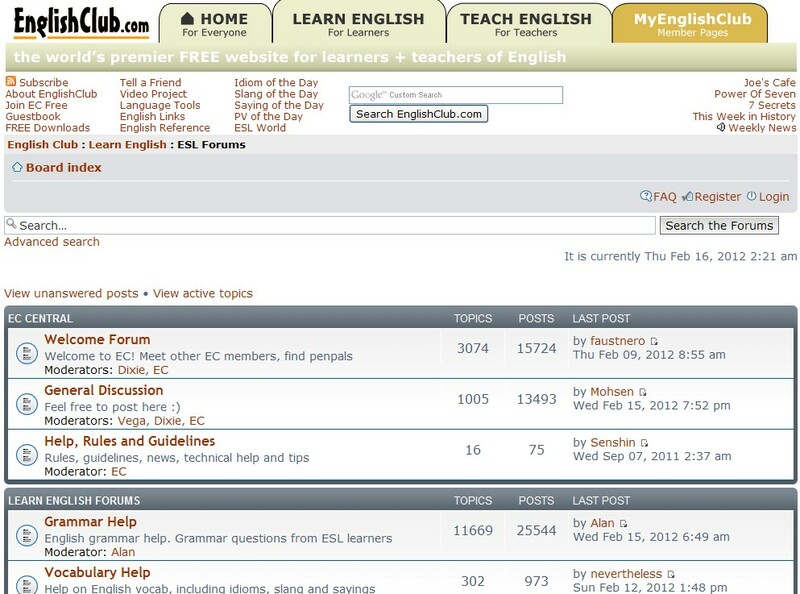 This ESL forum allows you to post about topics in your country and share your favorite activities, movies and opinions. There is also a section for grammar and vocabulary help. Most topics are up-to-date, but some are not very popular and so they're out-of-date.